Despite a looming threat of US sanctions under the CAATSA act, Turkey and India continue to adhere to their choice of Russian air defence systems over American ones. Experts, questioned by the German media shared that the choice was not based merely on the S-400's technical characteristics. Growing international interest towards Russian S-400 air defence systems is based on more than mere technological superiority of the model over its closest US rivals, German media outlet Die Welt reported, citing armaments experts. According to Ruslan Pukhov, head of the Russian Centre for Analysis of Strategies and Technologies cited by the outlet, the global arms market is not only driven by supply and demand, but also by certain political motives. "[Acquisition of S-400 systems] is a message to Washington and Brussels," Pukhov said. According to the weapons expert, by buying Russian S-400s or even announcing an intent to do so, countries show that they remain independent of Washington, which is constantly reminding them of the threat of secondary sanctions over buying Russian weaponry. The expert stressed that, for example Turkey, doesn't really need such sophisticated air defence systems. The media outlet pointed out another advantage of buying S-400 systems. In order to buy American analogues, countries have to go through a rigorous approval process in Washington. In addition to this, they must be on good terms with the US. On the other hand, the approval process in Russia is much less cumbersome and Moscow doesn't put any extra conditions on its sales. Additionally, Russia also ships its systems faster than the US does. 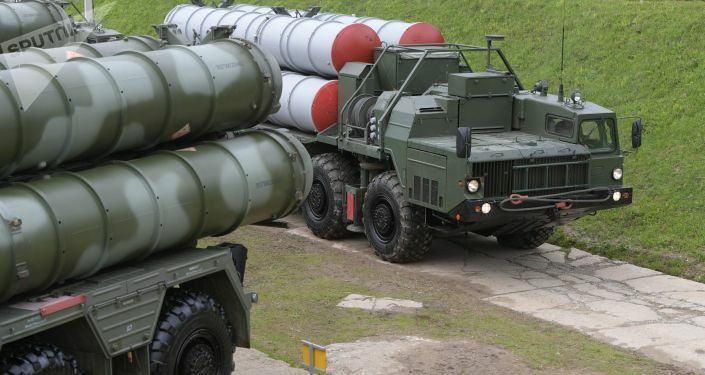 In an interview with Die Welt, another weapons expert, Siemon Wezeman of the Stockholm-based think tank Sipri said the S-400's technical characteristics indeed supersede those of the US systems. Pukhov added that historically the Soviet Union was behind the US in terms of jets, but compensated for it with superior air defences. S-400s are known for their quick deployment and ability to shoot down all sorts of targets, from missiles and low-flying drones to stealth jet fighters at altitudes up to 30 kilometres within a 400-kilometre radius using various types of missiles. At the same time, US Patriots can only utilise 100-kilometre-range missiles, while the THAAD system can only shoot down missiles, but not planes. In October, Russia and India signed a $5.4-billion contract on supplying five mobile S-400 systems, despite US warnings that it may impose sanctions against India. According to reports though, Washington is considering on giving a waiver over the S-400 acquisition by New Delhi.